<firstimage=”//static.makeuseof.com/wp-content/uploads/2011/03/fb.png” /> At MakeUseOf, we’ve already covered several ways you can schedule Twitter updates The 6 Best Tools To Schedule Twitter Updates The 6 Best Tools To Schedule Twitter Updates Read More , so that even if you’re not at your computer, you can continue to send information, links and thoughts to your followers. The same can be done using your Facebook account, and in many cases actually using the same applications or websites. 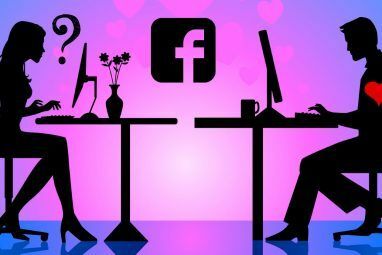 While most applications are limited to updating your Facebook status and little else, if you’re running a Facebook page, or use your Facebook account to advertise a service, being able to schedule updates will be invaluable. Unfortunately these methods do have their restrictions. 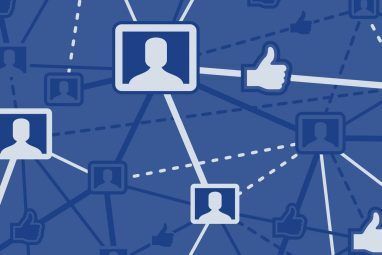 For example, if you want to share a link with your friends, with all of these services, but one, you will be forced to include the link in your status update, rather than as a separate link as you can do directly within Facebook. Below is a list of a few of the free methods you can use to schedule your Facebook updates. With LaterBro you can schedule Facebook status updates, while simultaneously updating Twitter. The service is as bare bones as it gets, simply allowing you to schedule updates. The disadvantage to using LaterBro is that status updates are limited to 140 characters, even though Facebook status updates do allow you 420 characters per update. While you can’t add images to your updates, you can include links, and LaterBro has a native url shortener. Updates can be scheduled every fifteen minutes, and you can also schedule certain updates to be repeated on a daily, weekly, monthly or even yearly basis. All scheduled updates are visible in your account, and you can delete them before hand individually or in bulk. 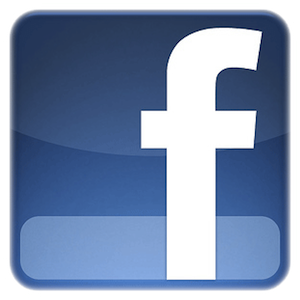 The status updates on Facebook will feature a link to LaterBro. TweetDeck allows you to schedule updates to its supported social networks, including Facebook. When updating your Facebook status on TweetDeck, click the clock icon next to the button marked Send. You can then enter the exact time and date when the update will be sent. The update on Facebook will feature a link to TweetDeck. 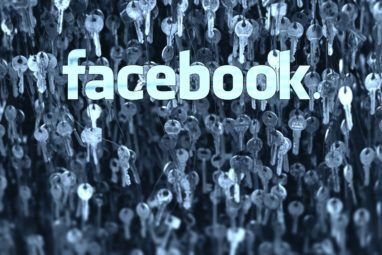 With SocialTomorrow, after granting the site access to your Facebook account, with a free account, you can then schedule Facebook (or Twitter) updates, but the free accounts do have their limits. With SocialTomorrow you are limited to 10 free updates per month. In comparison to the other services listed here, SocialTomorrow does also suffer as far as it’s interface is concerned. The design of the site feels very outdated, and there is nothing slick about it. That said, if you need a simple way to schedule a limited number of Facebook updates per month, the service will do the trick. Another drawback to using SocialTomorrow is that all updates are appended with the hashtag, #socialtomorrow, which, while understandable if not a bit annoying on Twitter, it’s of course entirely pointless on Facebook. Using the Twitter and Facebook client, HooteSuite, you can easily schedule Facebook updates. While free accounts cannot schedule updates in bulk, you can still schedule as many updates as you like individually. When creating a new update, click the calendar button, and you can select the exact date and time you want the update to appear, and click OK. Updates scheduled through HooteSuite will feature a direct link to the app. The Facebook app Greeting Scheduler takes a different approach to scheduling updates, that isn’t available in the other services listed here. Rather than schedule only your own Facebook status updates, it allows you to schedule updates to be posted on friend’s walls. So if you’re a forgetful person, or don’t log into Facebook on a daily basis, but don’t want to miss the opportunity to wish a friend a happy birthday, for example, this is the ideal app to use. And of course, you can also use it to schedule your own status updates. The first step is to determine which friends’ walls you want the message posted on, or if you want to post it to your own wall. After scheduling the date and time, you can then enter the message or status update before going onto the next step. You then have the choice between entering a more elaborate message, with text formatting, or you can choose to share a link instead. Unlike the other options listed here, when sharing a link using Greeting Scheduler, when it is posted on your profile, it will appear like other links shared through Facebook itself. What free methods do you use to schedule your Facebook updates? Let us know in the comments. Thank you for sharing this app, Josh! I like the greeting scheduler app, this is really cool app. I am the kind of person who generally forget things and birthdays at least,this app provides me facility to schedule email or schedule the post on friend's wall in future ,Amazing app. I would like to really the developer of the app for the good work. That'll be "Hootsuite" without an "e" in the middle, right? You can use Postcron, the most simple application to schedule facebook updates. The link is http://postcron.com. ItÂ´s also avaible in several languages. You can use Postcron, the most simple application to schedule facebook updates. The link is http://postcron.com. It´s also avaible in several languages. I just tried Postcron and it's perfect for what I want -- it will post on a page, you can post a link, select the thumbnail, and schedule it! Only "problem" is that although it's pretty much in English, a couple of things are in Spanish -- such as the screen where you give the app access to your FB account. Even if you don't speak Spanish, though (mine isn't great), it's not hard to figure out. David, you have to be "administrator" of a facebook page to run Postcron. It doesn´t work with personal profiles. Hope it helps! Instead of relying on an outside service to schedule my Facebook updates, I just use my Outlook client. No plugins or add-ons necessary. I included all the steps necessary at http://www.tech-recipes.com/rx/12331/use-outlook-to-schedule-facebook-updates/. Does hootesuite post as your personal profile or the page? You can schedule posts with Seesmic, but only posts to your personal profile. You can add both your personal profile and page to Hootesuite - they're completely separate within the app. I use HootSuite to schedule Page updates, but haven't found an app that will allow me to TAG other pages via scheduled posts. Huge opportunity there! Nice collection of tools to schedule posts! But, can these be used to schedule posts on facebook PAGE? I just started the HooteSuite free version as part of my duties as social-media manager for a boutique guide in Australia. It's good for scheduling, but I have encountered one shortcoming - you can't schedule status updates including the @___ protocol to create a link to your Facebook friends/likes. This is a problem for my company because we need to provide easy navigation throughout our social network of aligned businesses. Does anyone know of an application which can do this? It doesn't have to be free, just effective at 'pre-loading' up to a week's worth of status updates (we do up to 10 a day).